Frankfurt: Volkswagen AG is weighing taking a significant stake in its Chinese electric-vehicle partner Anhui Jianghuai Automobile Group Corp. after rules on ownership were eased last year, people familiar with the situation said. The world’s biggest automaker mandated Goldman Sachs Group Inc. to advise on the potential transaction, said the people, who asked not to be identified discussing private deliberations. Reuters earlier reported VW’s talks with JAC Motor, as VW’s smallest partner in China is known. It has bigger collaborations there with SAIC Motor Corp. and FAW Group Co.
VW has been in discussions with JAC, with a market value of 12.7 billion yuan (Dh6.98 billion; $1.9 billion), for some time to expand their 50-50 joint venture making electric cars to produce light commercial vehicles as well. VW Chief Executive Officer Herbert Diess told reporters last month the manufacturer plans to complete a broader review of its strategy in the world’s biggest car market by early next year. “Given JAC’s government backing, it might be a strategically sound move for VW to broaden and strengthen its ties with a third partner besides SAIC and FAW which remain VW largest partners,” Evercore ISI said in a note. VW’s push for a greater part in JAC Motor follows BMW AG’s move in December to take control of its joint venture with Brilliance China Automotive Holdings Ltd. in a 3.6 billion euro (Dh15.01 billion; $4.1 billion) deal. The pact showed China’s government following through on a pledge to open up the economy to foreign ownership, lifting a 50:50 joint-venture rule that restricted global brands’ access to the market for decades. China’s ownership limits on electric-vehicle makers have eased, followed by commercial vehicles makers in 2020 and the wider car market in 2022. Volkswagen “will explore all possible options together with all stakeholders to secure long-term success in China,” the company said in an emailed statement. “Regardless of what we are doing, we have to do it with our partners.” A JAC spokesman didn’t immediately have a comment. Goldman Sachs didn’t immediately respond to a request for comment. VW taking a direct stake in its smallest local partner instead of raising its holding in an existing joint venture would reflect the manufacturer’s larger footprint in China, compared to Daimler AG and BMW. 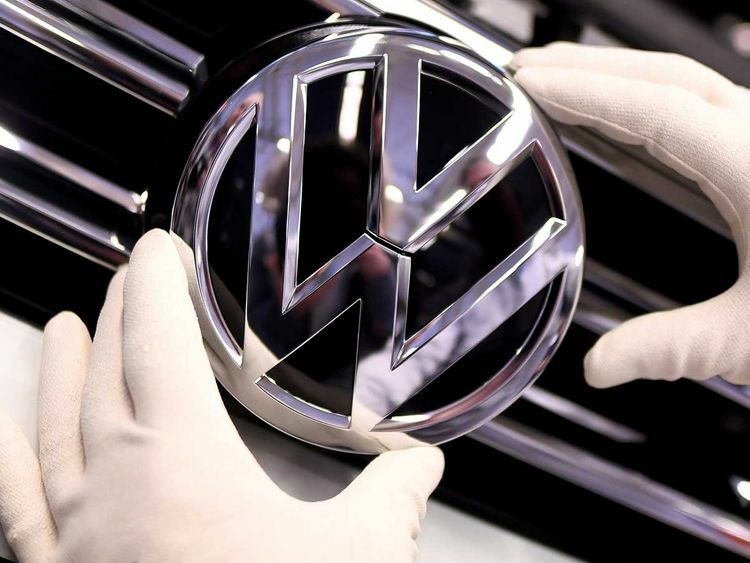 VW, which includes brands like Audi and Porsche, has been the leading manufacturer in China for years with a market share of about 18 per cent last year. A deal with its smallest joint venture partner JAC has potentially better chances of success than engaging with larger peers SAIC and FAW. Previous discussions to lift VW’s stake in the FAW joint venture a few years ago failed. Last month, SAIC said there are no talks with the German manufacturer over changing the joint venture structure. -With assistance from Tian Ying.